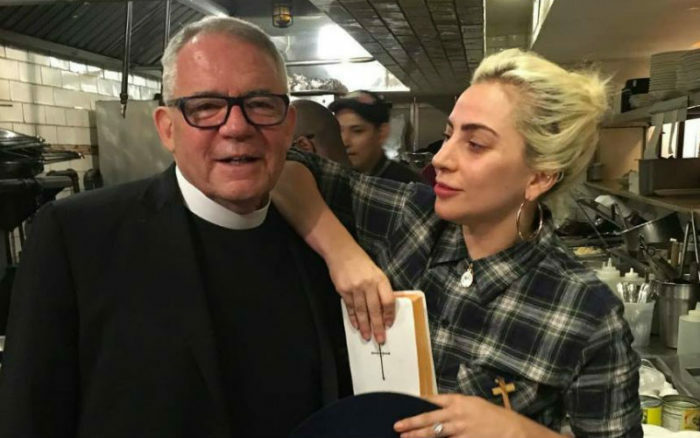 In an accompanying photo, posted in May 2016, she is standing next to the priest and holding what appears to be a Bible, as well as to have either a cross necklace or a rosary in her shirt pocket. Lady Gaga is one of the most followed celebrities on social media, with 61.6 million Likes on her Facebook page and 59 million followers on Twitter (as of this writing). As a music artist and performer, she is known for her raunchy style and promotion of sexual perversion. Born as Stefani Joanne Angelina Germanotta, she was raised in a Catholic family and attended an all-girls Catholic school through high school. 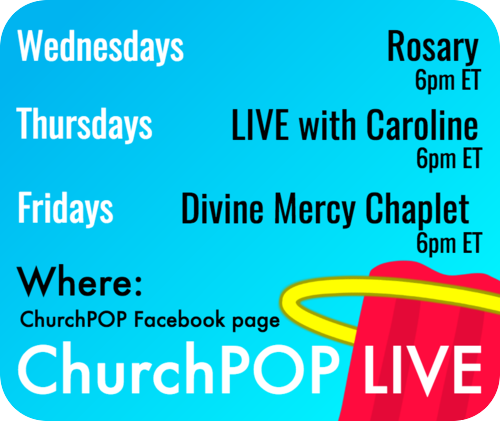 Although her music has often promoted and celebrated things contrary to the Catholic faith, it’s not clear what her religious beliefs and practices are currently. 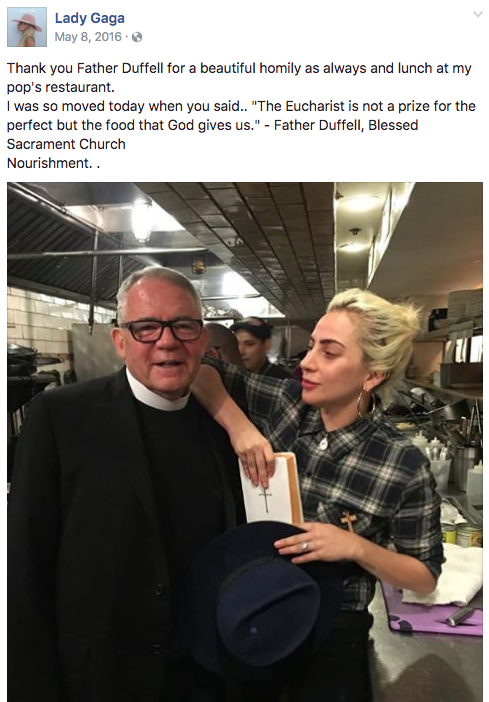 Say a prayer for Lady Gaga!